Coloring the world .. 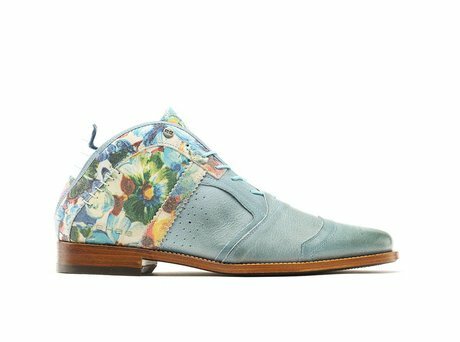 This Kurt II Flower is a special version of the icon shoe from REHAB. Be unique with this Kurt thanks to the colorful floral print and the tough buffalo leather. Jaco (Founder of REHAB); 'If you live in Holland, Westland, you are always among the greenhouses full of flowers. That's why I like to process flowers in our shoes. This variant is super fresh and nicely balanced by the colorful flowers on the back and the tough buffalo leather. The Kurt II Flower Blue is a real must-have this summer thanks to the soft summer colors and cheerful print. Ontvang direct een e-mail zodra de REHAB KURT II FLOWER LL BLUE op voorraad is in jouw maat.